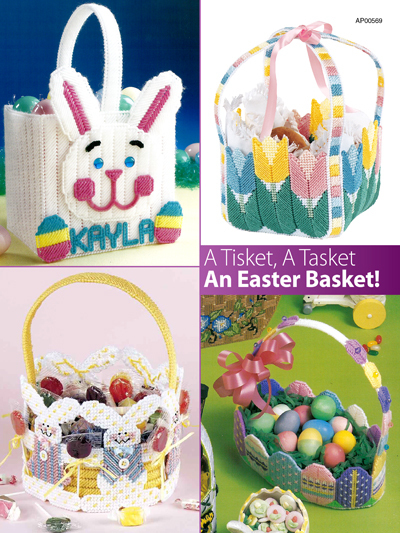 Easter is fast approaching and you can get ready for Easter by making these 4 adorable baskets. All the baskets are made using 7-count plastic canvas and worsted-weight or plastic canvas yarn. Alphabet instructions for name is included in pattern. Embellish with beads and baubles if desired. Kids will be delighted to wake Easter morning and found an adorable basket waiting for them. To purchase the pattern, click the link below. Subscribe to our YouTube channel here because we publish new crafting videos on regularly.